I have posted on Bitbucket the C BASIC version of the Brandy BASIC V SDL library converted to a shared object. This version no longer requires the Brandy BASIC V distribution to build the library. This version is basically a conversion and cleanup with no new functionality from the last C source build. The goal with this release is to make sure I didn't break anything in the conversion. The BaCon guys are doing a great job of pushing this forward and I hope this works out as a popular library for them. If you want to see the libbbc.c in it's naked form, you can view it here. Note: The C BASIC version is the only copy being maintained on Bitbucket. If you wish to create your own native C version of the library, do the following and start at the end of the redirected file and work your way up to the first function in the library. Add the header and includes (- cbasic.h) and that's all there is to it. I updated the files on Bitbucket to fix a typo and did more housekeeping with the code. So far everything I tested is working fine with the new code base. I've attached a Windows 32 bit DLL and the source if anyone would like to try it on that platform. 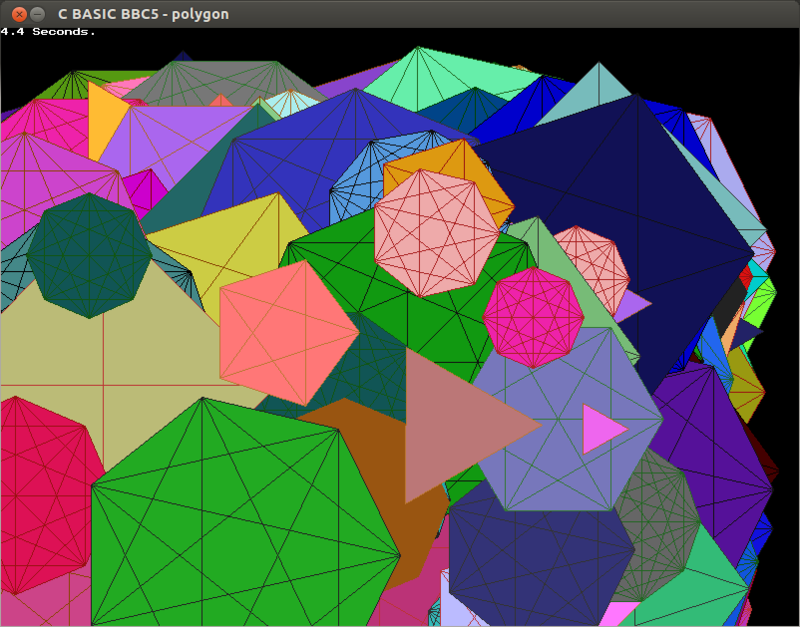 I thought I would try doing the graphdemo using C BASIC. 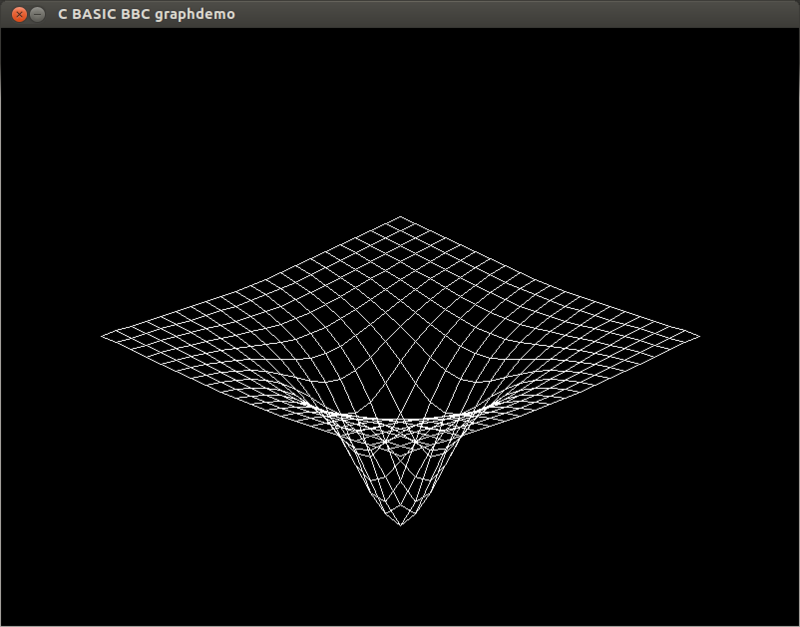 I have created a work in progress version of the BBC BASIC graphics library which I'm calling libbbc5.c. (original libbbc.c is still on Bitbucket) The goal is a generic BBC BASIC graphics plug-in any language can bind to without having any SDL knowledge per say. It will handle the keyboard / mouse events along with a few BBC BASIC specific functions (BBC_RND, BBC_TIME, ...) to help port BBC programs to the language of your choice. I plan to convert the existing examples to C BASIC and post them on the Bitbucket site. Update: I added BBC_WAITKEY, BBC_GETKEY and BBC_RND to the libbbc5 library. 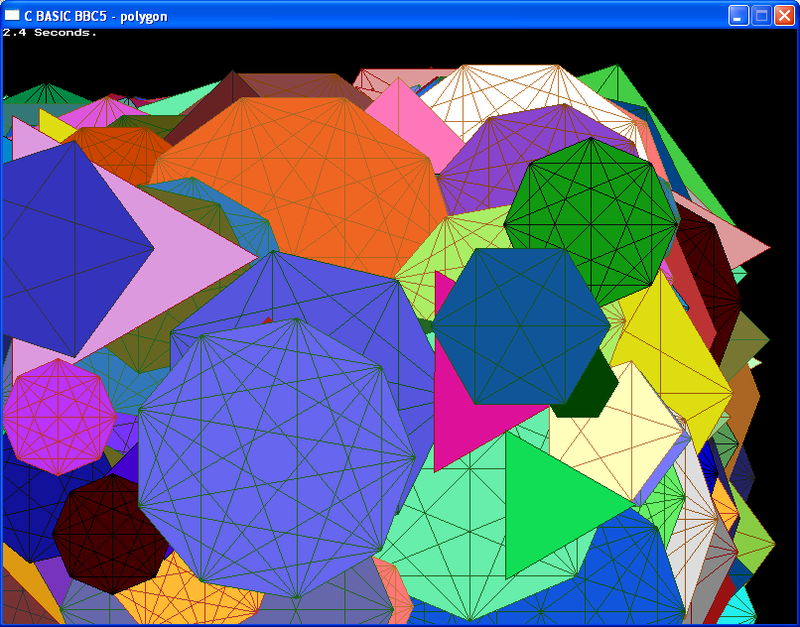 The most current version is on Bitbucket if you're following along. This is the libbbc.dll version running under Windows with ScriptBasic and DLLC. 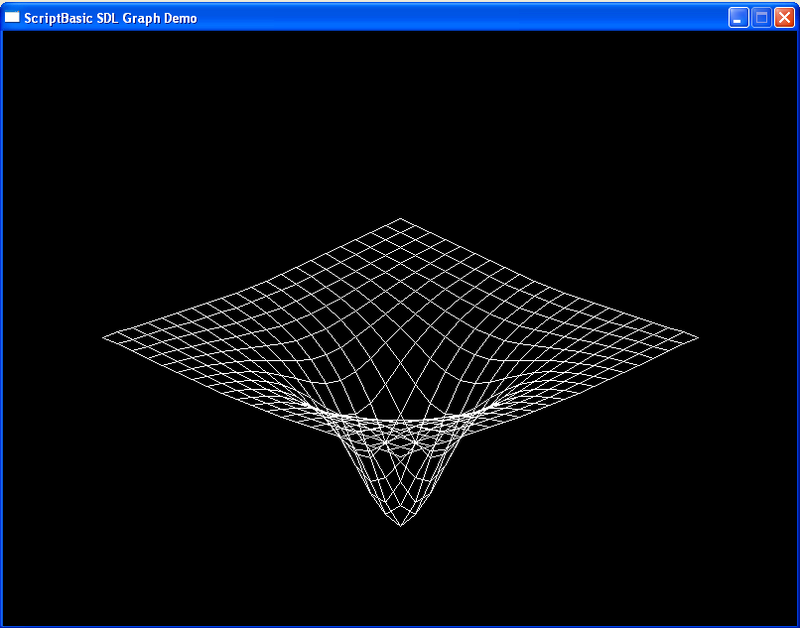 dllcall SDL_WINTITLE, "ScriptBasic SDL Graph Demo", "ScriptBasic"
Note: All further development is being done on the libbbc5.c code set and the original libbbc.c files will be removed from Bitbucket soon. 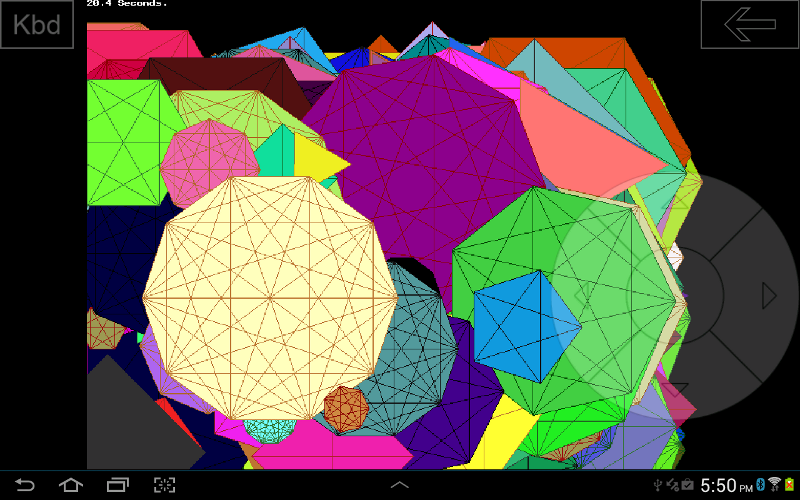 Here is the Android C BASIC version of the BBC5 polygon example. The same C BASIC libbbc5 library and example code ran untouched on 32 and 64 bit systems including ARM. I don't own any Apple gear but SDL is suppose to work on that platform as well. I added BBC_MOUSE based on vovchik's routine. I think I have the BBC_MOUSE and BBC_GETKEY working in both polling or wait modes for events. BBC_MOUSE(0) - Waits for mouse movement and returns X position. BBC_MOUSE(1) - Waits for mouse movement and returns Y position. BBC_MOUSE(2) - Checks for a mouse button press event and returns. BBC_MOUSE(3) - Waits for a mouse button to be pressed then returns. BBC_GETKEY(0) - Polls for a key press event and returns. BBC_GETKEY(1) - Waits for a key to be pressed then returns. This really needs some testing and a good example program. I'm beginning to realize the limitations of C BASIC not having memory management (string) support. I hope with this BBC BASIC graphic library project it renewed the interest in C BASIC and maybe moving it forward beyond just an illusion that takes the C jitters away. The libbbc5 library as a standalone BBC BASIC graphics binding seems to be working and I hope others will improve on it. I'm just frustrating myself taking it any further without string and memory management support in C BASIC. With that said, I'm going to generate a subset of the ScriptBasic SDL extension module that only includes the BBC functionality. 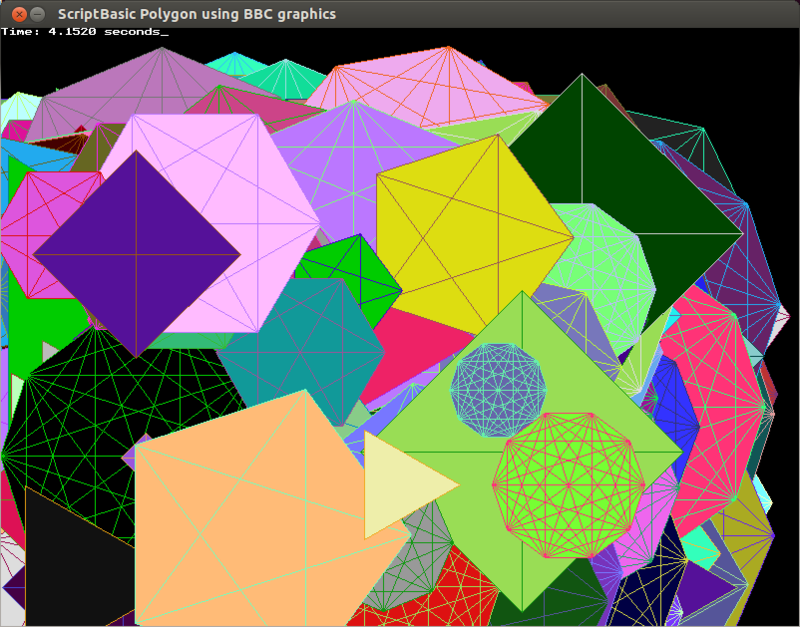 I'll release a Linux and Windows version of the bbc.so/bbc.dll extension modules for ScriptBasic users. Thanks to all who contributed to the libbbc5 project.